Protecting your headlights and even add color to them in the process is wildly popular these days and we would like to think we have helped that trend along by supplying a number of well know vendors servicing other makes. We will strive to directly provide the Focus Community with the highest quality lighting kits, first-rate customer service and of course highly competitive prices! Consider the cost of replacing a damaged composite headlight these days - $hundreds of dollars EACH in most cases. Adding a layer of protection against the elements is a good idea - plus these are much easier to maintain than old fashioned clip on covers, which are just as susceptible to pitting as your headlights and susceptible to theft. While other companies may use thinner 2-3mil sign vinyl (know as overlays), 8-12mil paint protection film, or older thicker versions of 40-120mil vinyl we have found that our 18 mil films offer the best combination of protection, ease of install, along with long term performance. We use a tough high performance vinyl that is designed to protect the lens first and foremost. Our lighting protection kits are manufactured from a 18 mil thick material for maximum protection and a long service life. For those of you with a clear bra, these are 3X thicker on average. Granted we are not talking about magic deflector shields and if you hit something big enough, going fast enough you run the risk of putting a hole in your headlight or fog light – no matter what you have covering it! We also offer three versions of Smoked headlight Protection kits. Our 50% Light Smoke is for those who are looking for a more useful subtle smoked look. 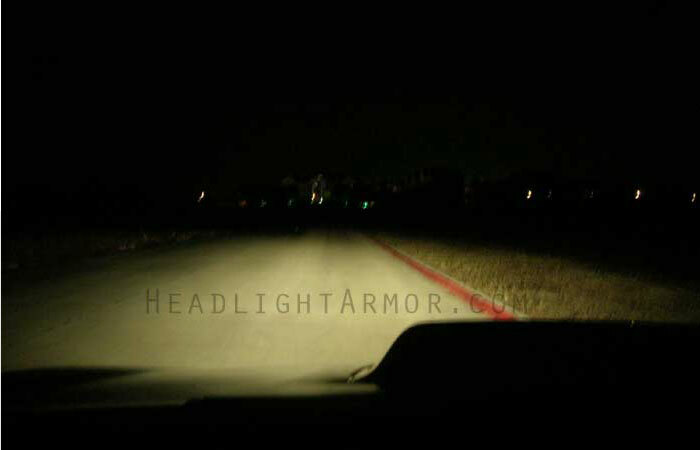 The Standard Smoke Headlight Protection kits are as dark as ~30% window tint on our meter. We also have an even darker Stealth Smoke version which allow just ~20% light transmission and look very dark when installed - great for show cars and track cars that are never run at night. We operate on a mass customization manufacturing to order model. This means that once you place an order on our site it is checked, entered into our production queue and each item is custom manufactured just for you! Under normal circumstances orders place by 2PM CST/CDT are shipped out the same day via USPS First Class Parcel, Priority Mail or Express Mail. The base rate s/h is the same for all 50 states and US Territories BTW. We also offer free USPS priority Mail shipping to APO / FPO addresses on all orders no minimum. 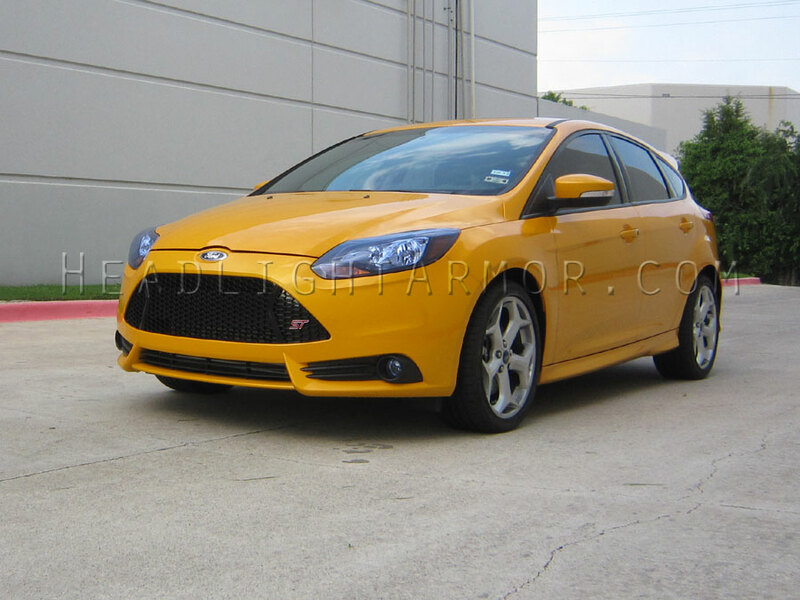 Not the Focus and Focus ST share the same Headlight Protection Kit, but the Fog Light Protection Kits are different. bought a fog light kit from you guys. super easy to install and I can't even tell its there! Have any night shots of the blue? Hope that helps. Let us know if you have any questions. 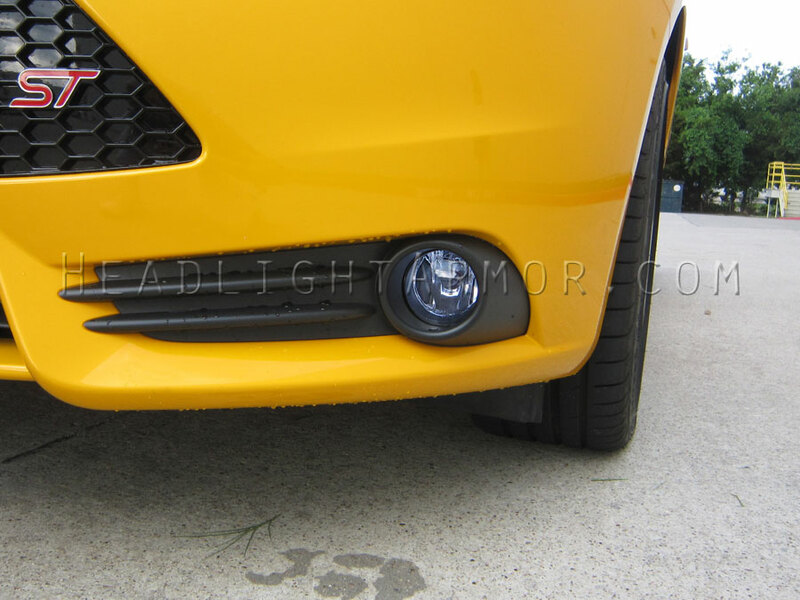 Want to protect your low slung fog lights from the ravages of the road? Want to change the look? Hope you find the tutorial helpful. Let us know if you have any questions on the application shown. Wishing everybody a safe and Happy Thanksgiving! Hope you are able to share some quality time with family and friends. Turn off the computer, put down the tablet & smart phone and enjoy the day. Despite the negativity of the TV ‘news’, there is a lot to be thankful for! Welcome to the official kickoff to the Christmas holiday season! Hope everybody was able to have a restful Thanksgiving! Now that Thanksgiving is over; it is ok to start streaming Christmas music if that is your thing. imma have to check this out on sunday when i get back home!